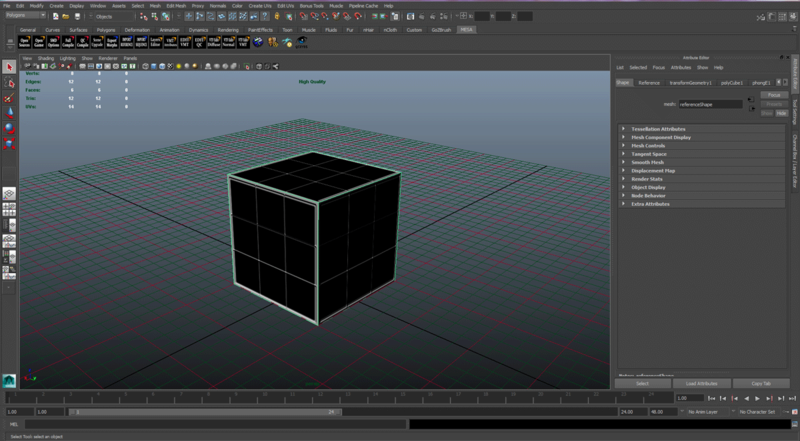 This step includes common tasks like to save your Maya Scene and your textures maps into the right location on your hard drive. MESA is case sensitive and if you do not respect the directories system in place the model will not being exported correctly. 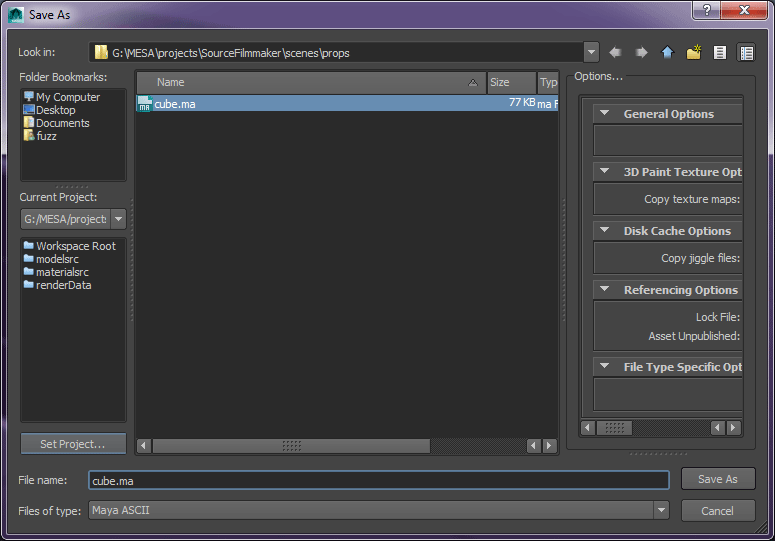 You must set the path for “%GAME_PROJECT_SRC%” project folder. 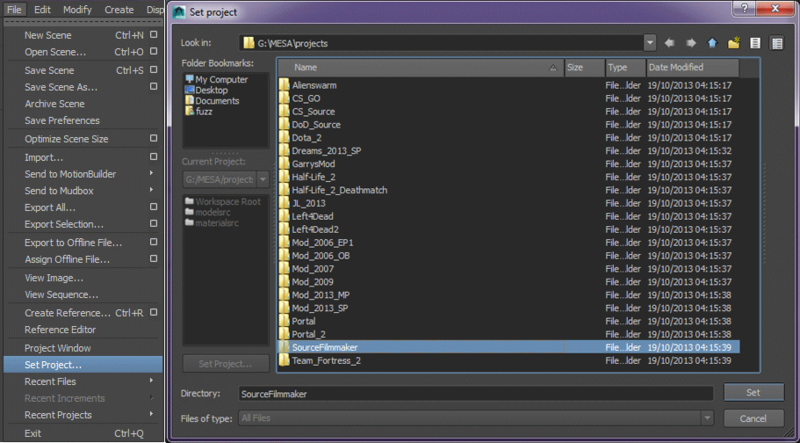 This is the directory that includes a file named “workspace.mel” that defines the paths of the scenes, the textures and where the smd files will be exported before the compilation process. Now Open your scene with your textured models. Open your Models in Maya. Now “Save as” the scene in the proper location “%GAME_PROJECT_SRC%\scenes\props\” for this example, which %GAME_PROJECT_SRC% represents the project workspace directory.